After a lengthy protest and appeals process, the penalty was rescinded, and Unser was reinstated the victory on October 9. Officially, it became Unser's third-career Indy 500 victory and his final win in Indy car competition. Unser stepped out of the car at the end of the season, and ultimately retired from driving. The race was officially part of the 1981–82 USAC season. However, most of the top entrants participated in the 1981 CART PPG Indy Car World Series. Championship points for the 1981 Indy 500 were not awarded towards the CART title. The hectic month of May 1981 was interrupted several times by rain. Pole qualifying stretched over three days due to inclement weather, and several days of practice were cut short or lost due to rain. The 1981 race is also remembered for the horrifying crash of Danny Ongais, and a major pit fire involving Rick Mears. Ongais was seriously injured, and Mears suffered burns, but both drivers would recover. Another major pit fire occurred later in the season at the Michigan 500, prompting new rules and standards to be put in place regarding the safety of fueling rigs. Three years into the first open wheel split, the sport of Indy car racing began settling into a mostly stabilized environment by 1981. The upstart CART series sanctioned the season of races. The Indianapolis 500 itself became an invitation-only race sanctioned by USAC, involving the CART regulars and various one-off entries. USAC kept alive their own "Gold Crown" championship, running Indy and the Pocono 500 in June 1981. A record total of 105 entries were expected to shatter the previous records for drivers on the track and qualifying attempts. Speed-cutting measures were still in place, and no drivers were expected to challenge the track records in 1981. The biggest rule change by USAC during the offseason was the banning of ground effects side skirts on the sidepods. Mario Andretti, as he had done in previous years, planned to race at Indianapolis in-between his busy, full-time Formula One schedule. His plans included qualifying at Indy on pole day weekend (May 9–10), then flying to Europe for the Belgian Grand Prix (May 17). After Belgium, he would fly back to Indianapolis in time for race day (May 24). For the first time, USAC held a special test session for first-time drivers. The first-ever Rookie Orientation Program was organized and held over three days in early April. It allowed newcomers the opportunity to take their first laps at the Speedway and acclimate themselves to the circuit in a relaxed environment. It would be held without the pressure of veteran drivers crowding the track, without the distraction of spectators, and with minimal media coverage. The drivers were allowed to take the first phases of their rookie test during the ROP. They would then return to complete the final phase of the test during official practice in May. Since the 500 had been moved to the Sunday of Memorial Day weekend, the 1981 race marked the earliest date (May 24) on which the race had ever been held. According to the calendar, May 24 is also the earliest date in which it can be scheduled. Practice started on Opening Day, Saturday May 2. The two most notable rookies of the field made most of the headlines for the afternoon. Young Josele Garza (actually 19 at the time, lied on his entry form to say he was 21) and Geoff Brabham both passed their rookie tests. On Sunday May 3, Al Unser became the first driver to practice over 190 mph (310 km/h). A day later, his brother Bobby Unser pushed the speeds over 197 mph (317 km/h). The first incidents of the month occurred Monday, when Gordon Smiley spun, and Pete Halsmer crashed in turn 4. Tuesday (May 5) was completely rained out, and Wednesday (May 6) was windy, keeping the speeds mostly down. A record 50 cars took to the track on Thursday (May 7), with Mario Andretti fastest of the day at 194.300 mph (312.696 km/h). On Friday, the final day of practice before pole day, Penske teammates Bobby Unser and Rick Mears were hand-timed just a tick below 200 mph (320 km/h). Mario Andretti was a close third over 198 mph (319 km/h). On Saturday May 9, rain delayed the start of pole position time trials until 3:34 p.m. An abbreviated session saw only 9 cars finish qualifying runs. A. J. Foyt was the fastest of the nine, sitting on the provisional pole at 196.078 mph (315.557 km/h). Rain stopped qualifying for the day at 5:49 p.m., and pushed pole qualifying into the next day. On Sunday May 10, pole position qualifying was scheduled to resume. Rain fell all afternoon, however, and canceled all track activity for the day. 27 cars were still eligible for the pole position, and the resumption of pole day qualifying was scheduled for the following Saturday. Among the cars not yet qualified was Mario Andretti, who was due to be in Belgium for the Grand Prix the following weekend. His plans to put the car safely in the field on pole weekend were thwarted, and a contingency plan would have to be made. Rain continued to fall, and washed out practice on Monday (May 11). On Tuesday May 12, the 200 mph (320 km/h) barrier was finally broken in practice for the month by Danny Ongais. Mario Andretti took his final practice run of the week, and departed for Belgium. Two major crashes occurred, involving Phil Caliva and Phil Krueger. Tim Richmond and Larry "Boom Boom" Cannon both were involved in spins, but suffered no contact. On Wednesday May 13, Rick Mears pushed the fastest speed of the month to 200.312 mph (322.371 km/h). Retired veteran driver Wally Dallenbach climbed into Mario Andretti's car, and began to take some shake down laps. Due to Andretti's absence for the rest of the week, the Patrick Racing team decided to have Dallenbach qualify the car for him. On race day, Andretti would take over the cockpit once again. Dallenbach was quickly up to speed, over 191 mph (307 km/h) on his first day. Rain closed the track on Thursday. On Friday, Bobby Unser upped the speed even further, turning a lap of 201.387 mph (324.101 km/h). A record 63 cars took to the track on the final full day of practice. World of Outlaws star, and Indy rookie Steve Kinser crashed in turn 1. Pole day time trials resumed on a sunny Saturday May 16. About a half-hour into the session, Bobby Unser took over the pole position with a four-lap average of 200.546 mph (322.748 km/h). Meanwhile, Wally Dallenbach put Mario Andretti's car safely in the field at over 193 mph (311 km/h). Mike Mosley squeezed himself into the front row posting a 197.141 mph (317.268 km/h) run. Moments later, Rick Mears took to the track. After a lap over 200.9 mph (323.3 km/h), his car developed a vibration, and he was forced to wave off, giving up his chance for the pole position. Pole qualifying continued until 2:00 p.m., when the original qualifying line was finally exhausted. Bobby Unser was awarded the pole, and the next round of qualifying began. After pole qualifying was over, Tom Sneva qualified his car at 200.691 mph (322.981 km/h). It was the fastest speed of the month, but since it did not take place in the pole round, he was not eligible for the pole position. Later in the day, Rick Mears took a back-up car out to qualify, but had to settle for a slower speed, and 22nd starting position. A very busy day saw the field filled at 5:00 PM and two drivers being bumped. A total of 53 qualifying attempts were made on Saturday, breaking the previous single day record of 45. On Sunday, bump day time trials were very busy. Ten cars were bumped during 25 attempts. On Thursday May 21, the final scheduled practice session was held. All 33 qualified cars, along with 2 alternates, took laps. Mario Andretti returned from Belgium, and practiced in his already-qualified car. Jerry Karl was arrested during the week, but would be released on bond in time for race day. Bob Harkey practiced his car for him. The starting grid was altered slightly after qualifying. Wally Dallenbach, who qualified Mario Andretti's car 8th, stepped aside as planned, and the car moved to the rear of the grid. In addition, George Snider vacated his ride in favor of Tim Richmond. Bobby Unser continued his dominance of the month, and led the speed chart for the afternoon, with a hand-timed lap of 197.6 mph (318.0 km/h). Later in the afternoon, hoping to sweep the month, his Penske Racing pit crew also guided him to a victory in the Miller Pit Stop Contest. As the field came through turn 4, the field began accelerating, anticipating the green flag. To the shock of many drivers in the back of the field, the green flag wasn't waved until Bobby Unser neared the start-finish line, and many of the back-row markers did not see the green flag until the front-runners accelerated away through turn 1. Because of the controversial start, Bobby Unser took the lead at the start, and pulled away from the field, with Johnny Rutherford moving up from row 2 into second place. Mike Mosley, the #2 starter, blew a radiator on lap 16 and finished in last place. Tom Sneva, with the fastest car in the field, charged from the 20th starting position to third place by lap 20. Rutherford took the lead from Unser on lap 22, but three laps later went out with a broken fuel pump. Sneva led for a lap, then pitted under the yellow flag for Rutherford's tow-in. Unser made his first pit stop on lap 32 when Don Whittington's wreck brought out another yellow. Sneva inherhited the lead after pit stops. On lap 39, the field anticipated the green flag and started accelerating between turns 3 and 4. Just then, USAC changed their minds and ordered the pace car back onto the track. By then, Tom Sneva had driven through turn 4 and passed the pace car. Realizing his mistake, Sneva slowed down and blended back behind the pace car. Citing that Sneva had blended back behind the pace car and that the infraction was unintentional, USAC decided not to impose any penalties. Sneva held the lead until the second round of pit stops began on lap 56. Sneva pitted first, but the car stalled as he tried to pull away. As Sneva's crew tried to re-fire the engine, new leader Rick Mears pulled into his pit directly behind Sneva. Only minutes later, Danny Ongais came into the pits on lap 63 as the leader of the race, but problems during the stop caused it to drag on for a disastrous 46 seconds. After finally leaving the pits, Ongais approached a slower car at the end of the backstretch. Perhaps still upset about the long stop, he made a late pass going into turn 3. Carrying too much speed out of the turn, the car drifted out into the grey and the back end began to slide. Ongais tried to correct the slide by turning right, and the car hooked to the right and crashed nearly head-on into the wall. (A year later, Gordon Smiley lost control at the same turn in the same way, but crashed directly head-on and was killed.) The front end of the car was ripped away, leaving an unconscious Ongais completely exposed in the cockpit as the car continued around turn 3, trailing a long tongue of orange fire from burning oil. Safety crews quickly surrounded the car and used the Jaws of Life to rescue Ongais, who suffered a concussion and badly broken feet and legs. Remarkably, Ongais made a full recovery and raced again at Indianapolis just one year later. On lap 131, Tom Sneva, who fell 35 laps down after his engine stall on lap 58, got taken out of the race by a blown engine. He stopped his car in turn 4, entering the pit lane. He climbed out of his car and his car was towed off. Sneva, after having the best car, was frustratedly out of the race with a broken clutch in his engine. In an interview with Chris Economaki minutes later, Sneva said that the engine stall happened because he couldn't get the car in gear and once the problem was fixed the engine began to have problems and finally came apart on Sneva's 96th lap completed. Pete Halsmer crashed out of the race on lap 135 and the caution came out soon afterwards for Josele Garza's accident. Josele hit the wall head-on but remarkably came out uninjured. Despite crashing, Josele Garza's effort in the race won him the 1981 Indianapolis 500 Rookie of the Year award. After 3 laps of caution, the race resumed with Mario Andretti as the race leader and Bobby Unser in second. On lap 146, Tony Bettenhausen had a tire going down, which he at the time was unaware of. Approaching turn four, the tire deflated, and Bettenhausen attempted to move out of the groove and out of traffic. In the process, he touched wheels with Gordon Smiley, sending Smiley's car spinning and into the wall backwards in turn 4. Three laps later, leader Mario Andretti and second place Bobby Unser went into the pit area for service. Unser finished his pit stop first, and was the first driver to exit the pit area. Andretti followed a few seconds behind. While the two cars were exiting the pits, the pace car was leading the field at reduced pace through turn 1 and turn 2. Unser stayed on the track apron, below the painted white line, and proceeded to pass by 14 cars and blend into the field at the exit of turn two. He took his place in line immediately behind the pace car as the leader. Andretti himself also passed one or two cars before he blended into the field in the south short chute. Both drivers' actions went largely unnoticed at the time. Andretti claims that he immediately called his pit crew on the radio and told him that Unser had passed cars under the yellow. The race stewards investigated Andretti's claim, but no track observers had witnessed Unser's infraction. No penalty was considered for Unser passing under yellow while the race was in progress. No announcers in the live radio broadcast made note of any yellow flag passes, nor was it reported that any penalty for doing so was under consideration. The ABC television commentators, in contrast, immediately noticed Unser's passes as they occurred, then expressed astonishment at them. Gordon Johncock led late in the race, but slowed and eventually suffered a blown engine with less than 10 laps to go. Bobby Unser assumed the lead on lap 182, with Mario Andretti second. Unser held on to win by 5.180 seconds, one of the closest finishes at Indianapolis to that point. Unser celebrated his third Indy 500 victory (also 1968 and 1975), while Andretti was lauded for charging from 32nd starting position to a 2nd place finish. Unser made a total of ten pit stops, a record for the most ever by a winner. In victory lane a satisfied Bobby Unser made no mention of a question about his win when interviewed by ABC's Chris Economaki. Bobby Unser finished first but was penalized after the race for an infraction, and was dropped to second place in the official results. He was reinstated the victory on October 9. Mario Andretti finished second, but was declared the winner after Bobby Unser's penalty was issued. Andretti was returned to second on October 9 when Unser's victory was reinstated. Shortly after the race was over, ramblings over a possible protest or penalty were beginning to surface around the garage area. Andretti's team Patrick Racing, as well as other drivers, were voicing complaints over Bobby Unser passing cars under the yellow on lap 149. Word of the incident reached chief race steward Thomas W. Binford by mid-evening. At the time, it was the policy of USAC to post official results for the Indianapolis 500 at 8 a.m. the morning after the race, and that any protest of that result could be filed after the race results were posted. In a taped interview with Chris Economaki three hours after the race ended, Binford announced that he would be reviewing the video of lap 149 with the board overnight and that based on what he saw, Unser was likely to get penalized for the passes. ABC televised the race on same-day tape-delay at 9 p.m. EDT. At the time, it was the policy of ABC Sports to record live commentary of the race at the start of the race and at the end of the race. For the remaining portions of the race, commentary was recorded during post-production. Unlike the live radio broadcast, which did not notice nor mention the infraction, the television broadcast focused heavily on the incident, and reported it as it was being aired. It was later revealed that commentators Jim McKay and Jackie Stewart had provided the lap 149 incident commentary in post-production, and did so with the knowledge that a protest of Unser's actions was in the works. Jim McKay: "Bobby, out again – and Bobby, going out, very – passed a car – What's he doing? He – oh look at that! He's passed about half a dozen cars." Jackie Stewart: "Oh, James, that's a – !" McKay: "Under the yellow. You can't do that!" Stewart: "That is a no-no! He has accelerated probably in the haste of leaving the pit lane, he's certainly overtaken these other cars; I'm not sure why he did that. I know that you're certainly not supposed to do it. The regulations say that under yellow flag conditions you must not pass any other cars, and that certainly has been the case here..."
McKay: "...but you're supposed to blend into the traffic, right? Let's see if he did that at all." Stewart: "Yes, you are supposed to...but certainly he's accelerated all the way down below the double yellow line there, and simply overtaken a lot of cars there; I'm sure Bobby must know the regulations, I'm sure he knew what he was doing, whether his mind was somewhere else I can't say, but he shouldn't have passed these other cars, Jim." "Well, there is a protest in process, mainly because we're talking about an unusual infraction of the rules. The one particular rule we dwell on quite a bit during the private and also the public drivers are passing under yellow. This one instance where Bobby and I were exiting the pits, I was right behind him... I just lost sight. He went about 7...8...9 cars in front of me..."
It suggested that Unser's infraction was noticed by – and was immediately obvious to – ABC's broadcast booth at the time it occurred, based on the impromptu nature of conversation, and surprise, both McKay and Stewart emoted. Their remarks were recorded later, after they had knowledge of both Unser's win, and that a protest of Unser's infraction in could in fact cost him the race win. The broadcast focused only on Unser's infraction, as it had earlier been relayed to them, and did not mention Andretti's. It was later shown on the official highlight film that as Andretti watched Unser in front of him passing a dozen cars, Andretti himself had passed one or two cars too, but A.J. Foyt (a lapped car) claimed that he had waved Andretti by – which was permissible under the rules – to allow Andretti to blend in closer to the lead lap drivers. That did not come to light until later, and was not considered reason to revise the official standings for a second time. ABC's race-end coverage featured Andretti in the booth, live, announcing his intention to protest the results, while they stated that Unser was not available for comment or interview. However, Unser later disputed that, claiming he was at the Howard Johnson's motel down the street, and that the media was provided with a direct phone number in case they needed to contact him. Furthermore, according to Robin Miller, television had little excuse because it was well-known around the paddock that Unser stayed at the Ho-Jo because he was a 'cheapskate'. Stewart, in the post-produced coverage, singled out Unser for making a mistake that he could be penalized for, and suggested both that it was a severe infraction, and that he should have known better. Unser took ABC's coverage, and Stewart's in particular, personally. In answer to this, Stewart said, "Bobby was upset. He said that if it had not been for me and ABC, USAC wouldn't have had to take action. My job is not to advise officials, but it is to inform my viewers. Had I not pointed that out to illustrate an infraction of the regulations as I understood them, I would have done a great disservice to the audience." USAC spent the night reviewing race tapes and scoring reports. At 8 a.m. EST Monday morning, the official results of the race were posted. Bobby Unser was charged with passing cars under the yellow, and was penalized 1 position (some erroneous reports listed it as a 1-lap penalty) for the infraction. The penalty dropped Unser down to second place, and elevated Mario Andretti to first place. Andretti was declared the victor, and it made him a two-time Indianapolis 500 winner. That night, the traditional Victory Banquet was held at the Indiana Convention Center in downtown Indianapolis, with Andretti the new guest of honor. The mood was subdued, and the event was overshadowed by large-scale media attention (Bobby Unser did not attend the banquet). The winner's share of the purse was announced, but the pay envelope presented to Andretti was empty. Andretti was presented with the official pace car but was not given the keys. Ted Koppel's Nightline focused the evening's program on the controversy and included a live interview with Andretti who compared the situation to the 1978 Italian Grand Prix, a race in which he won on the track, but was stripped of victory when officials deemed he jumped the start. Andretti stated in an interview during the banquet: "I am glad the officials did the right thing but it still is sad. When Bobby won he went through all the hoopla and got to experience victory lane and the other things a winner gets to experience in victory lane...then it was taken from him and given to me. And I will never get to experience that myself." "It's already been ruined for me. I'm very bitter. I'm not waiting for the decision either. The damage has already been done and I will paint racing out of my future if I was drawing my future." Roger Penske filed an appeal after the official results were posted which had declared Andretti the winner. A hearing was held on June 12, 1981. The USAC appeals hearing resembled a court case. According to some in attendance, witnesses who took the stand were subjected to numerous odd and superfluous questions, many with little or no relevance to the race itself. The hearings reportedly were dragged out with considerable wasted time. Mid-way through the hearing, the meeting was adjourned, and the resumption was scheduled for July 29. Bobby Unser's primary argument was based upon the "blend rule", and its perceived vague definition in the rule book. When exiting the pit area during a yellow caution periods, drivers were instructed to look to their right and see which car was next to them out on the track. After accelerating to sufficient speed, the driver was to "blend" (merge) into the field behind that car. Mario Andretti argued that it was an established guideline that the place to look for the car to blend behind was at the south end of the pit straight, where the concrete separator wall ends. Bobby Unser countered that he understood that, as long as the car stayed under the white line and in the apron, the place to blend in was the exit of turn two. Unser argued that the warm-up apron was an extension of the pit area. Unser added that drivers were allowed to do that as long as they did not pass the pace car nor pass the car immediately behind the pace car. He also contended that Andretti had passed at least two cars himself, and should have also incurred a penalty. In addition, it was pointed out that USAC allowed the alleged infraction to go unpenalized throughout the remainder of the race (instead of acting upon it immediately after it happened). Binford, the chief steward, stated that he did receive a complaint after lap 149, but that track observers had missed Unser's infraction, so he was powerless to act during the race. USAC was faced with a dilemma, as the rulebook was in fact unclear in regards to the blend rule. Officials mulled over the decision for months. On October 9, 1981, a three-member USAC appeals board voted 2-1 to reinstate the victory to Bobby Unser. He was instead fined $40,000. "Based on what we've seen, Thomas Binford and the Indianapolis officials should have detected the infraction at the moment of it. By not penalizing Unser sooner they automatically made the passes allowed because they failed in their responsibility to detect the infraction. So Unser wins the race but a $40,000 fine will replace the one position penalty." The appeal panel said that, since the violation could have been detected at the time it was committed, a one-lap penalty after the completion of the race was too severe. In its decision, which resulted from a 2-to-1 vote, the panel said that race officials had "a responsibility to observe and report illegal passing in yellow flag situations and they failed to do so." "The court believes," the panel said in a 23-page opinion written by Edwin Render, its chairman, "that responsible officials knew of the infraction when it was committed … For these reasons the court rules that it was improper to impose a one-lap penalty on car No.3 after the race." The results below represent the final revision of the 1981 Indianapolis 500 results, as certified on October 9, 1981. All teams raced on tires provided by Goodyear. The 1981 Indianapolis 500 was largely considered the most controversial running to date. It was referred to as "The Great Dispute," and in some circles was "Undecided." Bobby Unser, who felt the entire ordeal was politically motivated by his USAC enemies, became disillusioned with auto racing and took a sabbatical from driving. He sat out the 1982 Indy 500, and retired officially in 1983 because the $40,000 fine for the win and several other fines he faced in sponsorship ruined his finances. After being reinstated the winner, Bobby Unser was presented with the miniature Borg-Warner Trophy, while Mario Andretti had already been presented with the winner's championship ring. While Bobby Unser celebrated in victory lane on race day, the morning after the race, Mario Andretti took part in the winner's photograph session. No official victory photos were taken of Unser. Months after the race, Unser's likeness was sculpted and added to the Borg-Warner Trophy appropriately. A claim was even made at the time that Andretti "threw away the winner's ring" when he heard that Unser was reinstated the victory, but the story appears to have been unsubstantiated. In a 2001 interview with Jack Arute and Bobby Unser on ESPN Classic's "Big Ticket", Andretti confirmed that he kept the ring by wearing it during the interview. To this day the race is still controversial. 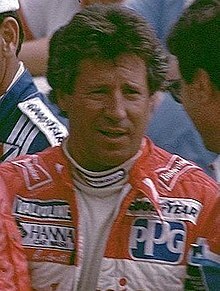 Mario Andretti has said in interviews that because both he and Unser passed cars under yellow, both should be penalized. Unser has retorted that Andretti is being a sore loser. In recent interviews, Unser said that he and Mario were very close friends until that race, and while they maintained a mutual respect, they did not speak with one another for upwards of 37 years. They did not personally reconcile until about 2018. Unser also maintains that U.E. "Pat" Patrick, the car owner for Andretti in that race, was not the impetus for any protest on behalf of Andretti. Rather it was crew chief Jim McGee, and that Patrick actually felt Unser was the rightful winner. Both Unser and Andretti also agree in retrospect that regardless of the outcome, USAC mishandled the situation from start to finish and much of the controversy could have been easily avoided. Australians Vern Schuppan (3rd), Geoff Brabham (5th) and Dennis Firestone (10th) were the first trio of foreign drivers to finish in the top ten as since British drivers Graham Hill, Jim Clark and Jackie Stewart finished 1st, 2nd, and 6th in 1966. Mario Andretti was born in Italy, but was both an Italian and U.S. citizen by that time. Young rookie Josele Garza, after leading 13 laps during the race, won the Rookie of the Year award. Two years later it would be revealed that Garza fibbed about his age, and was actually 19 on race day (rules at the time required drivers to be age 21). By 1983, he was being credited as the youngest starting driver ever at Indy, a record he would hold until 2003. In 1996, the rules were changed to set the minimum driver age for the Indianapolis 500 at 18, a rule later solidified by federal tobacco regulations. Since 2014, drivers as young as 15 are permitted during the Month of May, provided they are racing in a lower tier support event on the road course, and the Indy Lights Freedom 100 support race on the oval allows 17-year old drivers since 2011 (when all tobacco sponsorship ended in INDYCAR, per Master Settlement Agreement). In comparison, NASCAR mandates support series drivers on the Indianapolis oval to be 18. The youngest winner on the oval, as of 2017, is William Byron, who won the 2017 Lilly Diabetes 250 NASCAR support series race at 19 years of age. A 15-year old has won on the road course, Garrett Gerloff, 15 years 27 days, when he won the USGPRU Moriwaki MD250H support race at the USGPRU support race in the 2010 MotoGP round. During practice, a controversy erupted between Indianapolis Star journalist Robin Miller and A. J. Foyt. For the first time, handheld radar guns were being used to measure trap speeds of the race cars along the straightaways. In his May 8 column, Miller casually noted that Foyt had a trap speed measured at 214 mph on the mainstretch, about 8 mph faster than any other car. The report led some in the paddock to question the legality of Foyt's turbocharger "boost" setting. Foyt was angered by the report, and denied any accusations of cheating. During some downtime during Friday afternoon's practice session, Foyt hunted down Miller on the grass parapet along the pit lane, grabbed him and slapped him on the back of the head and threatened to "remove two of [his] vital organs." Foyt claimed his speed was due to engine development over the winter months, and quipped 'Is it a crime to go fast?' Foyt also demanded that the radar guns be turned off. In response, Miller wrote a scathing column that was published in The Star on Sunday May 10. Miller accused Foyt of throwing temper tantrums, verbal and physical intimidation, and childish behavior. But more importantly, he tallied a lengthy list of USAC races in which Foyt allegedly had cheated in the past. The column sparked controversy, and Foyt immediately refuted the allegations. Foyt demanded the paper issue a retraction, and after they refused, he filed a $3 million libel suit in the United States District Court for the Southern District of Texas. The suit claimed the article was false, with intent to damage Foyt's reputation, as well as create animosity towards Foyt from the other drivers. The dispute simmered during race week, and over the summer months, but was soon largely overshadowed by the Bobby Unser/Mario Andretti controversy that occurred in the race itself. On November 1, 1981, The Star issued a retraction, acknowledging that Foyt's alleged unprofessional conduct "had never been proven nor protested," and at the time of the retraction, "remain[ed] unproven and unprotested." As a result, Foyt dropped the libel suit. The parties settled out of court for an undisclosed monetary amount, and Judge Carl O. Bue Jr. accepted the agreement and formally dismissed the suit on November 30. The race was carried live on the IMS Radio Network. Paul Page served as anchor for the fifth year. Lou Palmer reported from victory lane. Darl Wible departed, and Bob Jenkins moved to the fourth turn position, where he would remain through 1989. Larry Henry joined the crew for the first year, stationed on the backstretch. This was Larry's only year on the Backstretch, he moved to Turn 3 the following year. This was Doug Zink's last year in Turn 3. The reporting location for Turn 2 shifted slightly, although still on the roof of the VIP Suites, the station was moved southward towards the middle of the turn. Howdy Bell, the longtime turn 2 reporter, celebrated his 20th year on the crew. This was Howdy's last year in Turn 2 until 1985. In Turn 3, the reporting location moved to a platform on the L Stand. The race was carried in the United States on ABC Sports on a same-day tape delay basis. Sam Posey rode along and reported live from inside the pace car at the start of the race. The broadcast has re-aired on ESPN Classic since 2003. On May 24, 2003 the race was featured on ESPN Classic's "Big Ticket" series, hosted by Jack Arute featuring interviews with Bobby Unser and Mario Andretti. On July 30, 2003, an expanded edit of the "Big Ticket" version aired. Wikimedia Commons has media related to 1981 Indianapolis 500. ^ Miller, Robin (May 25, 1981). "Bobby U. wins 3rd '500'; Ongais badly hurt in crash". The Indianapolis Star. p. 1. Retrieved June 2, 2017 – via Newspapers.com. ^ a b c Wilson, Phillip B. (May 28, 2002). "Controversy nothing new for 500 (Part 1)". The Indianapolis Star. p. 19. Retrieved April 25, 2018 – via Newspapers.com. ^ a b c Wilson, Phillip B. (May 28, 2002). "Controversy nothing new for 500 (Part 2)". The Indianapolis Star. p. 20. Retrieved April 25, 2018 – via Newspapers.com. ^ "USAC revises rules and renews pacts". The Indianapolis Star. February 2, 1982. p. 24. Retrieved July 26, 2018 – via Newspapers.com. ^ "The Madison Courier - Google News Archive Search". news.google.com. Retrieved 25 April 2018. ^ a b c d "1981 Indianapolis 500 Daily Trackside Report" (PDF). Indy500.com. 1981. Archived (PDF) from the original on 2008-05-15. Retrieved 2008-06-22. ^ a b McKee, Craig (May 29, 1982). "'81 Indy 500: Bobby...Finally". The Indianapolis Star. p. Souvenir 3. Archived from the original on 2017-08-20. Retrieved 2017-08-20 – via Newspapers.com. ^ McKay, Jim (May 1, 1998). The Real McKay: My Wide World of Sports. E P Dutton. ISBN 0-525-94418-4. ^ a b c "Idol Of The Indy Airwaves". Sports Illustrated. 1983-06-06. Archived from the original on 2012-10-25. ^ "Dinner With Racers: Robin Miller". Dinner With Racers. Season 3. November 21, 2017. ^ Vincent, Charlie (May 25, 1982). "Unser, Mario '81 feud simmers". Detroit Free Press. p. 1D. Archived from the original on 2017-08-21. Retrieved 2017-08-20 – via Newspapers.com. ^ "Appeal Panel on Indy 500 Is Adjourned Until July 29". New York Times. 1981-06-12. ^ Eversley, Ryan; Heckman, Sean (December 18, 2018). "Bobby Unser, Part 1". Dinner with Racers. Season 4. Episode 124. Retrieved January 24, 2019. ^ "Attorney for Unser Says Andretti Was in Violation". New York Times. 1981-06-05. ^ "Digital Newspapers - Penn State University Libraries". digitalnewspapers.libraries.psu.edu. Archived from the original on 4 March 2016. Retrieved 25 April 2018. ^ "Jack Rhoades Obituary - Myers-Reed Dignity Memorial Chapel | Columbus IN". obits.dignitymemorial.com. Archived from the original on 2017-08-19. Retrieved 2017-08-19. ^ "05/24/1981 race: Indianapolis 500 (USAC) - Racing-Reference.info". racing-reference.info. Retrieved 2017-08-20. ^ "1981 Paint Schemes". The Open Wheel. 2016-02-18. Archived from the original on 2017-08-21. Retrieved 2017-08-20. ^ "1981 Indianapolis 500". Motor Sport Magazine. 2017-06-12. Archived from the original on 2017-08-31. Retrieved 2017-08-20. ^ "1981 CART PPG IndyCar World Series TEAM CHART & SCHEDULE - RuRa Message Board". www.rubbins-racin.com. Archived from the original on 2017-08-21. Retrieved 2017-08-20. ^ "Sports People; A Bitter Bobby Unser". New York Times. 1981-09-04. ^ Overpeck, Dave (May 5, 1981). "Speedway becomes a Penske place". The Indianapolis Star. p. 20. Retrieved January 23, 2018 – via Newspapers.com. ^ Miller, Robin (May 8, 1981). "Andretti quickest on windy track". The Indianapolis Star. p. 34. Retrieved January 23, 2018 – via Newspapers.com. ^ Miller, Robin (May 9, 1981). "Hope for sun over 16th St. (Part 1)". The Indianapolis Star. p. 1. Retrieved February 5, 2018 – via Newspapers.com. ^ a b Miller, Robin (May 9, 1981). "Hope for sun over 16th St. (Part 2)". The Indianapolis Star. p. 6. Retrieved February 5, 2018 – via Newspapers.com. ^ a b "Foyt lashes out at Star scribe". The Indianapolis Star. May 9, 1981. p. 25. Retrieved February 5, 2018 – via Newspapers.com. ^ Heuschkel, David (June 13, 1997). "For Foyt, It's An Old Story". Hartford Courant. Retrieved July 27, 2018. ^ Miller, Robin (May 10, 1981). "A.J. 's nasty side hidden by legend (part 1)". The Indianapolis Star. p. 66. Retrieved February 5, 2018 – via Newspapers.com. ^ Miller, Robin (May 10, 1981). "A.J. 's nasty side hidden by legend (part 2)". The Indianapolis Star. p. 67. Retrieved February 5, 2018 – via Newspapers.com. ^ "Standing up for Foyt". The Indianapolis Star. May 15, 1981. p. 15. Retrieved July 27, 2018 – via Newspapers.com. ^ Miller, Robin (May 21, 1981). "More animosity than honesty at Speedway". The Indianapolis Star. p. 40. Retrieved July 27, 2018 – via Newspapers.com. ^ "Foyt files libel suit over Star column". The Indianapolis Star. May 22, 1981. p. 36. Retrieved July 27, 2018 – via Newspapers.com. ^ "Foyt suit dismissed". The Indianapolis Star. November 1, 1981. p. 69. Retrieved July 27, 2018 – via Newspapers.com. ^ "Foyt settles suit". The Orlando Sentinel. December 1, 1981. p. 89. Retrieved July 27, 2018 – via Newspapers.com.